Scale your support with a modern help desk and integrated knowledge base. Customer information is automatically added to the CRM while having a chat. View Contact/Lead details from Salesforce CRM. Chat notes and transcripts are added to CRM with the contact information. With this integration, your sales team will be able to track every lead who has communicated with you on live chat as leads or contacts. Acquire and Salesforce integration enables you to measure the performance of every sales representative and to make data-driven decisions. We have two types of configuration available in Salesforce. The customer can directly map Acquire fields to Salesforce fields, no need to add customer details such as name, email etc. manually while exporting or syncing data to Salesforce. 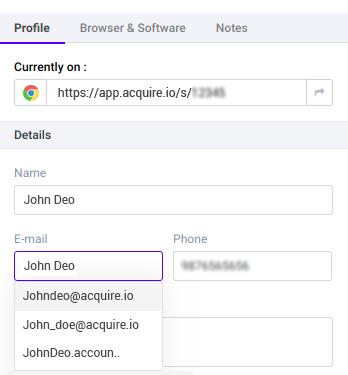 Goto https://app.acquire.io/integration and click on salesforce button and enter salesforce email/password. Search or scroll down to find the Salesforce Integration and click on Manage mapping button “+” as shown below. Then you will be redirected to the salesforce admin page where you will need to enter the credentials to log in. Choose any one from above-mentioned ways and click next. 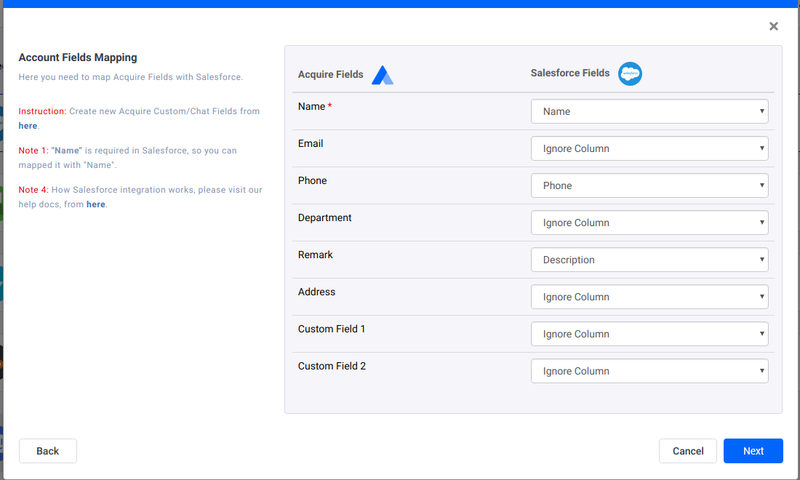 Mapped all required fields of salesforce with Acquire fields; you can also follow the instructions given. And also add custom fields so you can map more fields. Here the mapping is done with the visitor contact details. The new contact is created when a visitor starts the conversation with the agent. All chat gets sync/export from Acquire to Salesforce. In this Contact Mapping, custom fields can be added. 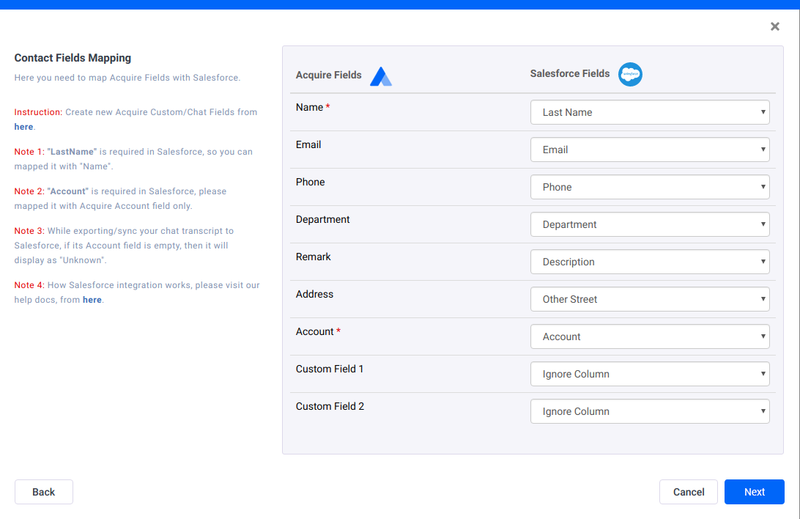 An account is required to create Salesforce contact, so mapped only with account salesforce field. Account custom field automatically inserted in your custom field. You can remove it from there. Same as above, but here the details will get stored under the lead section. 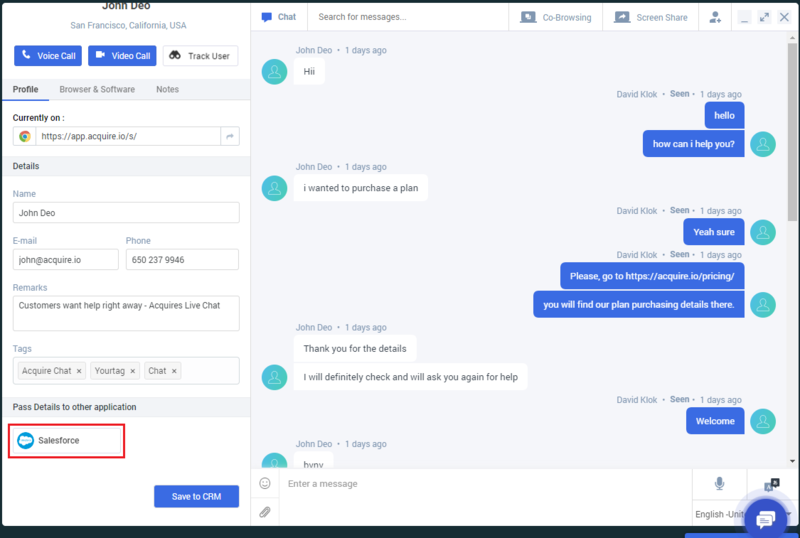 Salesforce will create a new lead when chat sync/export from Acquire to Salesforce. A company is required to create salesforce lead, so mapped only with company salesforce field. 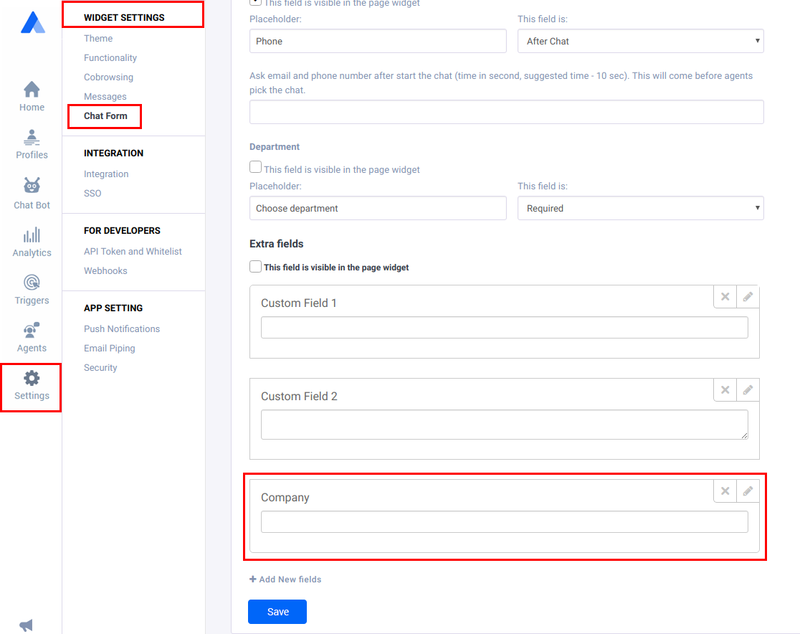 Company custom field automatically inserted in your custom field. You can remove it from there. All the customer details will get sync/export automatically into Salesforce account. 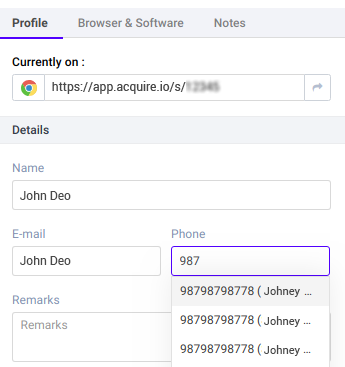 You can view the data send from Acquire in the Salesforce dashboard, under the leads/contacts/cases section. 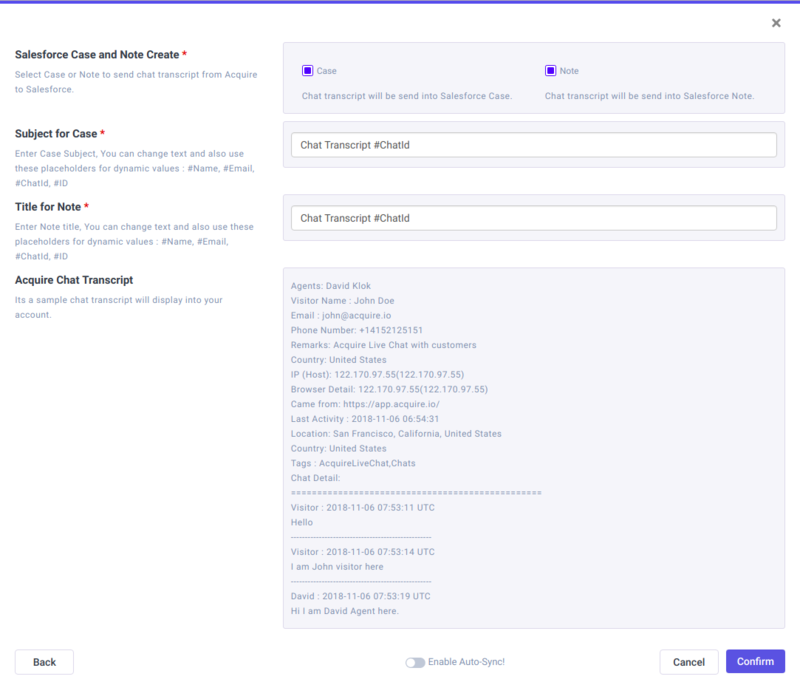 Chat transcripts will be created as cases/notes. Add subject/title for case/note. You can also add dynamic details like: #Name, #Email, #ChatId, #ID. If this button enabled, then all chat will be sync automatically, at the end of the chat. 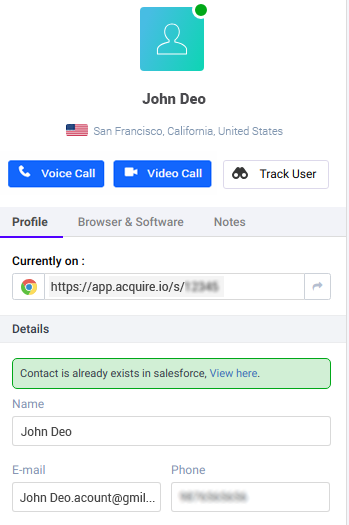 Go to https://app.acquire.io/ dashboard and start chatting and click on salesforce sync button. When picking answer chat from a dashboard, if visitor details already exist in Salesforce then, Existence message will be displayed. Goto that message link, it will redirect to salesforce Account/Contact/Lead. It will depend on your default configuration. You can search the details by entering email or customer name and can add/sync the customer details or chat transcripts afterward. It will depend on your default configuration, like if you configure mapping with Contact then you can search from Account, if you have mapped with lead then search by Company. Check your details into Salesforce account to fetch your details, and chat transcript as well as. After successfully saved script into your panel. 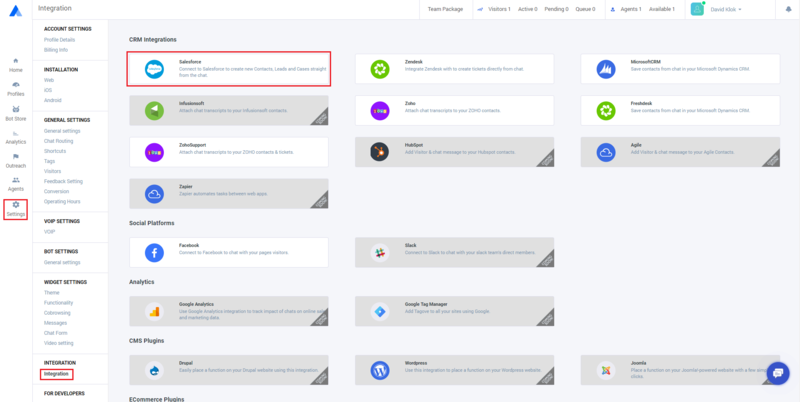 you can start working with Acquire Live Chat.